Highly honored sir, you call Joachim only the leading German violinist? I find him to be the leading performing musician altogether — an ideal of perfection. With his incomparable mastery he has terrified me and laid me low — but the feeling of artistic elevation that I owe to him won out in the end. Das hat Kraft zu sein für immerdar. Only the meaningless passes away. 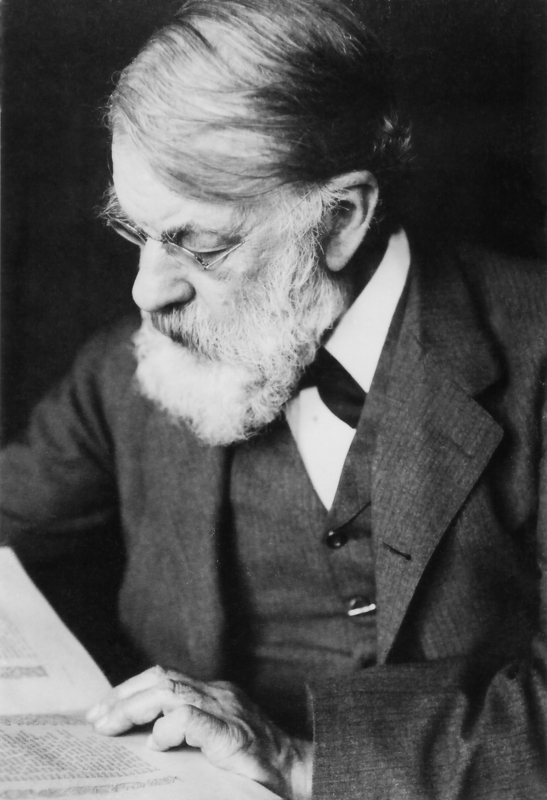 This website is dedicated to the life and art of Joseph Joachim. The information on the site derives from my ongoing research and writing, which I am publishing here in the spirit of modern, open-source scholarship. For copyright reasons having to do with source material, some of it remains password protected, and not available to the public. Information on this site is grouped in categories. The detailed Biographical Posts begin here (“Kittsee, 1831”), and continue as a series of linked articles. There are some gaps in the links — this is, as I say, an ongoing project. A Brief Biography begins below (“Joseph Joachim”). In general, if you wish to use anything you see on this site, especially copyright material, please acknowledge the source. Those few with whom I have shared protected information are requested to keep their password secret, and not to make public any information that is not already in the public domain. The WordPress blog format does not allow me to organize posts as I wish: it organizes posts by date, which is to say, randomly. I am, however, linking the Biographical Posts in sequence, and organizing all of the material in the INDEX. Content is also searchable using the “search” function. I wish to acknowledge the invaluable and generous support of the University of New Hampshire, without which this work would not have been possible. 1) I am trying to locate the correspondence between Joseph Joachim and Bettina von Arnim that was sold by Henrici auction house in 1929. [Karl Ernst Henrici, Versteigerungskatalog 155, Berlin: am 5. Juli 1929.] I would be very grateful for any information leading to its whereabouts. 2) I am interested in finding birth records from the Kittsee Kehilla from the late 1820s to the early 1830s. As far as I know, birth records exist only from the mid 1830s onward — too late to include Joachim. 3) I would be very grateful to hear from the owner of Joachim’s Hamlet overture, sold at Sotheby’s on June 9, 2010. 4) I would like to find Margaret Alsager Ayrton’s unpublished diary. 5) I am always interested in seeing letters, photographs, memorabilia, etc. connected with Joachim. Please email me at the above address. 6) I am interested in the whereabouts of the painting by Felix Possart of the Joachim Quartet in the Singakademie zu Berlin (1903). 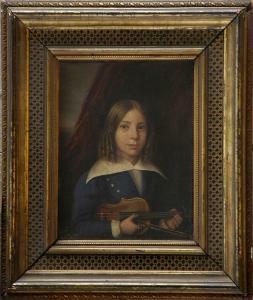 This priceless historical artifact was erroneously sold by Stair Galleries on September 13, 2008 as “Joseph Joachim Guernier — The Young Violinist,” “Oil on panel, 8 3/4 x 6 3/4 in. Provenance: Property from the New York Public Library, Astor, Lenox and Tilden Foundations.” It’s whereabouts are currently unknown.